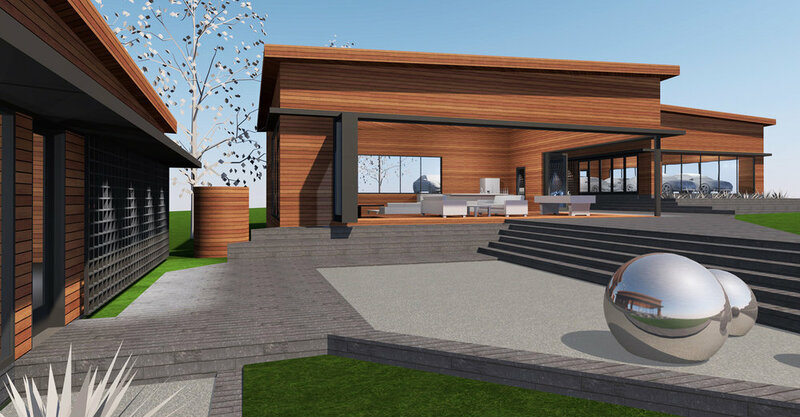 This design started with the need for a garage to house a couple Porches adjacent to the renovated Willow Hill farmhouse (see Farmhouse Renovation). But once you've got a garage you're likely to want a man cave, right? And while you're at it how about a guest suite? Well, we took a simple and economic rectangle and laid out a series of three units connected by outdoor spaces to be implemented as time and budget allow. 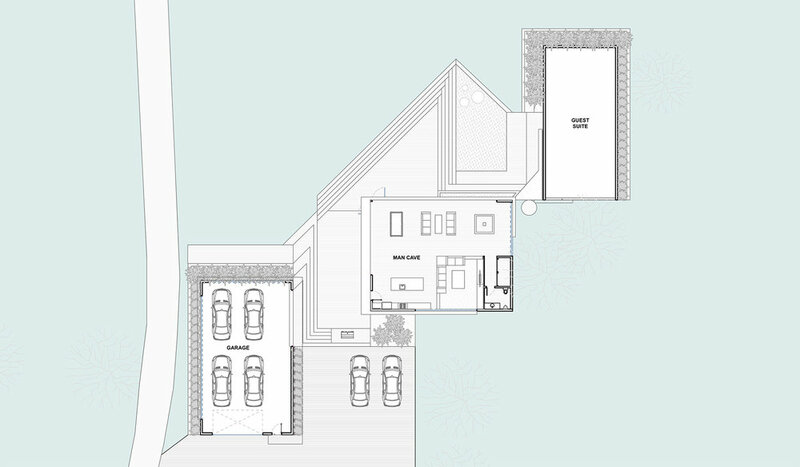 The layout of the structures has been designed so that only the garage is visible from the house as the others will be hidden from view behind. The roof of the structures is a simple plane but tilted to provide a shed roof profile on each elevation. 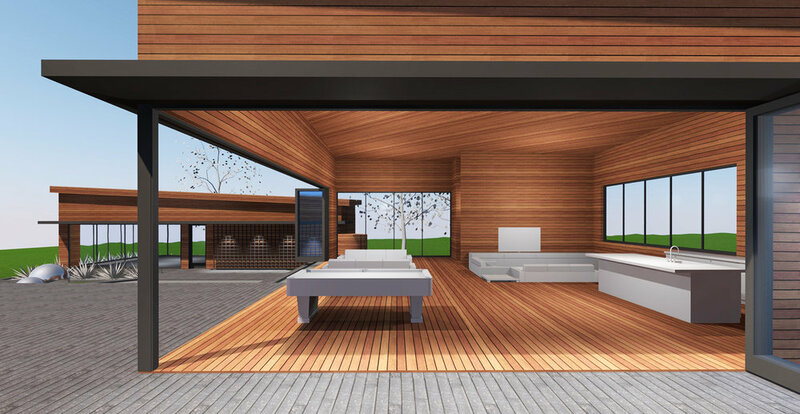 Oversize windows and folding glass doors completely open the interior to the exterior to make it feel like your outside all the time. A sunken tv room is cozy as is the sunken Japanese style dining area with a table that pops-up out of the floor to provide for a versatile use of space. These renderings show a zen garden with reflecting spheres but this could also be a pool or herb and flower garden. A grill is located between the garage and the man cave because what goes better with car talk than BBQ and beer?